When you have reached retirement, one of the most popular ways to generate passive income to augment your other sources of cash, such as Social Security or a pension check, is to invest your savings in tax-free municipal bonds. There can be several major advantages to this portfolio strategy. Imagine that you are 65 years old. You have no debt, own your home outright, and have $500,000 in savings, built up over a long career of working. You have a choice between investing in general corporate bonds and investing in tax-free municipal bonds. The corporate bonds yield 7%, and the tax-free municipal bonds yield 5%. That means the corporate bonds would generate $35,000 in interest income each year for you, upon which to live, pay your bills, keep food in the pantry and medicine in the cupboard. You would have to pay ordinary income taxes on this money. The tax-free municipal bonds, on the other hand, would generate $25,000 per year in interest income. You wouldn't owe a single penny in Federal or state taxes on these bonds if you were buying securities issued in your own home state. Which of the two is the better investment option for your portfolio? To discover the answer to that question, you must calculate something known as the taxable-equivalent yield. Generally speaking, the lower your tax bracket, the more favorable corporate bonds will be as an investment, whereas the higher your tax bracket, the more favorable municipal bonds appear. One trap you should avoid is the habit new investors seem to pick up that causes them to reflexively put tax-free municipal bonds in retirement plans that are shielded from taxes due to their inherent structure. It is foolish! Even if you are in the highest tax bracket levied in the United States, the income within your 401(k) plan or other retirement accounts is already shielded from the IRS, making corporate bond yields a better choice from a taxation perspective in most situations. A handy rule: "Opposites attract: Taxable bonds go into tax-free accounts, and tax-free bonds go in taxable accounts." 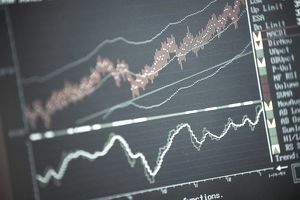 Depending upon the duration of the municipal bonds you hold in your investment portfolio, your assets may fluctuate more or less than stocks. Typically, a bond with a shorter duration (one that matures sooner) will fluctuate far less than a bond of a longer duration (one that matures many years in the future). All things come with a price - hence the economic maxim, "There is no such thing as a free lunch." Shorter duration bonds almost always enjoy lower yields than bonds which have a longer duration. When you buy a municipal bond in the primary market, your money is lent to a to a local or state government for projects that make life better for the average person. If you buy bonds issued by a school district, your money will probably be used to construct a new school or gymnasium. If you buy a municipal bond issued by your hometown, the money may be used to construct roads, bridges, hospitals, sewage plants, and other public works. In all of these cases, the bond issuer promises to pay you interest on your money. At some point in the future, on the maturity date, you are promised the return of the par value of the bond itself. In most cases, certainly in the case of a traditional tax-free municipal bond, this is equal to the amount of money you originally lent the issuer. For many investors, knowing this simple fact -- that you are going to get your money back at a specific point in the future as long as the bond issuer doesn't default -- makes holding tax-free municipal bonds easier psychologically and emotionally. I personally know retired investors sitting on seven-figure portfolios stuffed with municipal bonds, who don't mind the fluctuations in the price but who can't stomach the idea of holding any stocks, no matter how high quality, how profitable, or how well-diversified, even knowing that over long periods of time, stocks absolutely trounce bonds in the return department. Put simply, as irrational and foolish as it is, many new investors think of bonds as somehow inherently "safer" than stocks, ignoring things such as ​inflation rate risk. Nevertheless, you don't have to invest in stocks to build wealth so if focusing your savings on fixed income investments such as tax-free municipal bonds allows you to sleep better at night, so be it. There is no use making yourself miserable just to reach for a higher return if you trade your health for it.